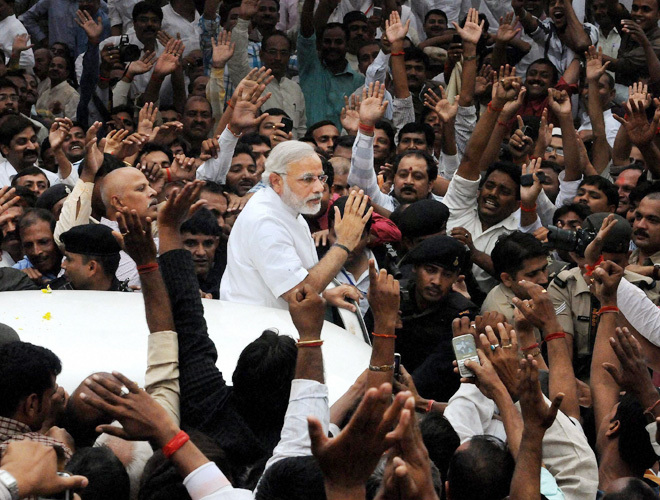 This is an election like no other Bihar has seen for generations. Lalu Prasad isn’t there. It’s a bit like Helen having left the cabaret floor. Cabarets are no cabarets if Helen isn’t dancing; Bihar elections aren’t quite Bihar elections without Lalu storming the barns. Over the last three decades, since he arrived almost unheralded as chief minister of Bihar in 1990, Lalu has won elections and he has lost them. He’s been raved about and reviled, a celebrated mass hero for many, a damnable villain to others, but always the centre of the election stage — the man to espouse and the man to eschew. Now, for the first time, Bihar’s tryst with the polls has its axis missing, banished by judicial verdicts on misdeeds that keep Lalu arraigned and away in Jharkhand. Gone from this campaign like a receded wind. Gone too, it would appear, are the sting and spice he peppered the trail with, all that daring and drama. This is an excerpt from my book, The Brothers Bihari. The NDA, pushing for L.K. Advani as prime minister, had scheduled one of its biggest shows of strength in the 2009 Lok Sabha campaign at Ludhiana on that date. 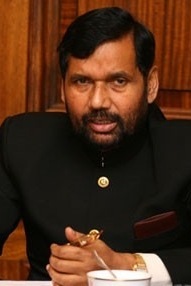 Invitations had gone out to prominent leaders of all constituent parties and NDA chief ministers. K Chandrashekhar Rao of the Telangana Rashtra Samithi had decided to participate, breaking away from the UPA. This had brought new buoyancy to NDA ranks. This is going to be a two-in-one enactment, make no mistake about it. On paper, assembly polls are still a year and a half off, but this summer’s Lok Sabha verdict will be a decisive roll of the dice in the battle for Bihar. It’s a fool’s estimate the parliamentary numbers of 2014 will bring closure to the re-division of the Bihari pie; they will only set the stage for the final settlement of 2015. Who’s to tell if the climax will even hold off that long? 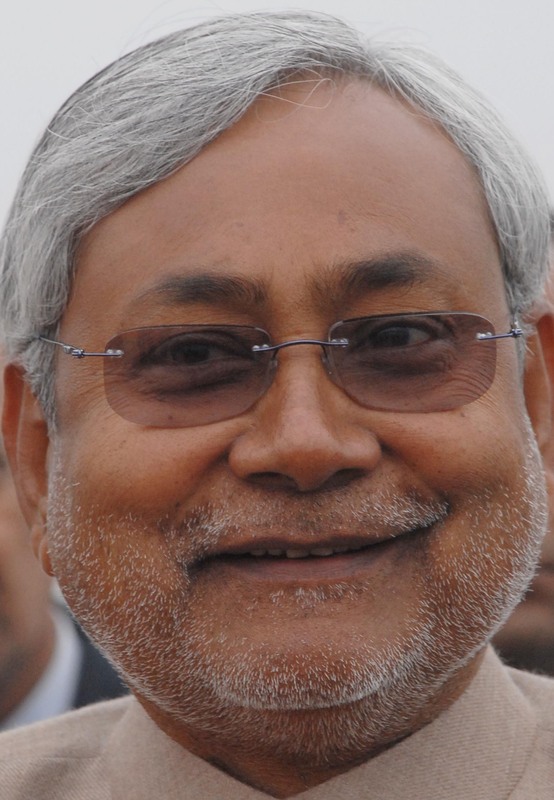 Chief Minister Nitish Kumar’s is, after all, a minority government perched on a wafer that could give to the slightest shift in the balance of power. Of all the paradoxes that pervade the radical re-arrangement of battlements since Nitish abrogated his alliance with the BJP last June, the hardest to miss is probably this: he survives on the support of arguably the most insignificant player in the field called the Congress, and the Congress is running three-legged with his old adversary Laloo Yadav. Patna: But for the man absent from the frame, this picture would have belonged strictly in family albums, not in newspaper pages. But for him, this would have been a very different picture, or, actually, a picture few would have bothered taking. The people in it may have come across as far more meagre of circumstance, the backdrop would have been far humbler, if not lowly, a backdrop that belongs in a coarse daguerreotype. It would decidedly not have been this. These are the back lawns of 10 Deshratna Marg, among the grander ministerial acreages of West Patna. And this is the family of RJD chief, Laloo Yadav, the man not in the picture, the artist of this portrait, the sole master of this arrangement — the setting, the swing, the shade, the smiles, the language of bodies that belongs in a throne which hasn’t been available to adorn in a while. But for Laloo Yadav and his astonishing journey from buffalo-boy in the Gopalgunj boondocks to extended suzerainty over Bihar, none of this would exist. Even when desperately downbeat, Laloo was never one to give up his derring-do countenance; the newly divided field in Bihar has added a decibel to his daring. When Laloo cries out loud, he gathers crowds. The forecourt of 10 Deshratna Marg is humming with notes of new possibility. 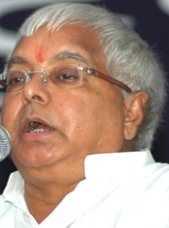 At the back of it, a rivalry has begun to eddy that Laloo often doesn’t want to countenance and wishes he could put down with the brandishing of a patriarchal baton. You may not get to see a swing seat so voluptuous with political ambition. Look closely at the picture and you’ll find it already too crammed; Misa has wedged herself in, but only just. 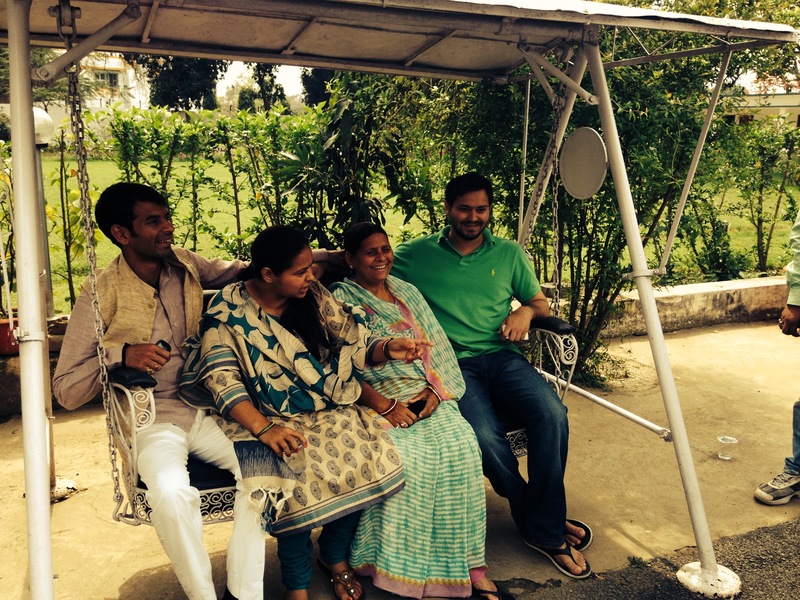 To her right is the older of her two brothers, Tej Pratap; to her left is her mother Rabri Devi and then, ensconsed in the far corner, her little brother Tejaswi. There’s one former Bihar chief minister here and, should you individually enquire, three aspiring ones, Misa, Tej Pratap, Tejaswi, in descending order of age, though not necessarily in quantum of appetite. The irony that runs across this image and its characters is that the one man who brought them this far is and the only one who could promise to take them any further from here stands barred from contesting elections and, therefore, from public office. He is the man not in the picture, Laloo Yadav. Laloo and Rabri Devi have nine children, seven daughters and two sons, of whom Misa is the eldest. Six of the daughters have been given away in marriage; among them Misa is the only one who refused to go away. She was able to persuade her IIM-trained husband, Sailesh, to come live in the Lalu household, instead. The youngest and yet unmarried daughter lives mostly at the family’s camp residence in Delhi and spends much of her time looking after the affairs of Misa’s two school-going daughters. Misa’s determination to stay on has often been ascribed to her will to become anointed RJD heiress, a desire whetted no end when as a 20-something girl she saw her father pull her mother out of the kitchen and install her as chief minister of Bihar. Misa, far better educated — a trained doctor of medicine, in fact, and well spoken — quickly divined a future opportunity for herself. She might think of herself as best qualified to succeed her father. Among all the Laloo-Rabri children, Misa is the one who alone has a memory of their days of adversity and struggle ; she was 15 when her father became chief minister and the family stepped out of the low income housing they shared with cousins on the Patna Veterinary College campus, into I Aney Marg, the chief ministerial bungalow. Life would never be the same again. Through her late teens and early adulthood, Misa apprenticed actively in the backroom machinations of power while the younger ones were at play. On occasion, following the fodder scam and Laloo’s removal from power, she would enact obdurate public defence of her parents and the party. But she was soon to discover competitors at home: her two brothers Tej Pratap and Tejaswi. The apparent good cheer on the swing seat, mind you, is not faked or pretended for the camera. There exists among the siblings a fair bonhomie that comes from having lived out an open-house childhood around Laloo’s court. But there also exists, inevitably, politics between them; very often, sibling rivalry can turn adult and begin to imitate the machinations of a medieval court where succession is up for grabs. Misa is the domineering one who Laloo often does not venture to counter, for love or for latent fear, or probably both. Tej Pratap is an oddball character and therefore more intractable. He turned a self-styled “Krishnavataar” a few years ago. He donned saffron robes and made it convenient for Laloo to keep at arm’s length — a godman, not a man of this world, easy to keep off politics. But came a time a few years ago, when he waddled into the family theatre, probably nudged along by Misa who was looking for an ally to counter Tejaswi, who is said to have Laloo’s favour. Laloo tried keeping Tej Pratap distracted, awarding him an automobile dealership near Aurangabad that the son dutifully and charmingly christened with an amalgam of his parents first names: Lara Automobiles, he called it. But he soon lost interest, or was made to, delegated responsibilities and returned to 10 Deshratna Marg. The saffron robes of Tej Pratap are long gone, he has donned khadi, the signature fabric of political intent. He now prowls the 10 Deshratna yard with his own clutch of loyalists and has posted a huge vinyl emboss of his on a side wall. Each of the three has a coterie, each spies on the others activities, each schemes about behind Laloo while he attempts an uphill comeback. The RJD boss still appears intent on Tejaswi, though. He eased him onto to the 2010 campaign stage and since then, a murmur has prevailed that he is the chosen one. Tejaswi spent a couple of IPL seasons warming the bench in the Delhi Daredevils dugout, then retired hurt to the political stage. He began to figure on RJD posters beside his parents, he was made to tail his father, sit on meetings, recruit a bunch of his own loyalists. He was also given access to Laloo’s room at the RJD headquarters, if only as a sign others were meant to heed. All of which was quickly noticed; very soon counter manoeuvres began to ripple on the family table. Misa landed one afternoon at the RJD offices and ordered her father’s room opened when neither he nor Tejaswi was in town. She sat in her father’s chair and ordered people around for a bit, if only to underline succession wasn’t a sealed affair. Then she laid claim to her disqualified father’s Lok Sabha seat, and secured it. This, even at the cost of Lalu losing staunch loyalist Ram Kripal Yadav, now the BJP rival to Misa from Patliputra. The battle is now for her to win and prove herself worthy. Tej Pratap, court whisper will tell you, is her ally. Tejaswi, not yet the age he can contest, can afford a smile because he has time, and probably his father, on his side. Often, because they believe it to be a long-awaited season of favourable wind for the RJD, they all can. Like on the swing seat. 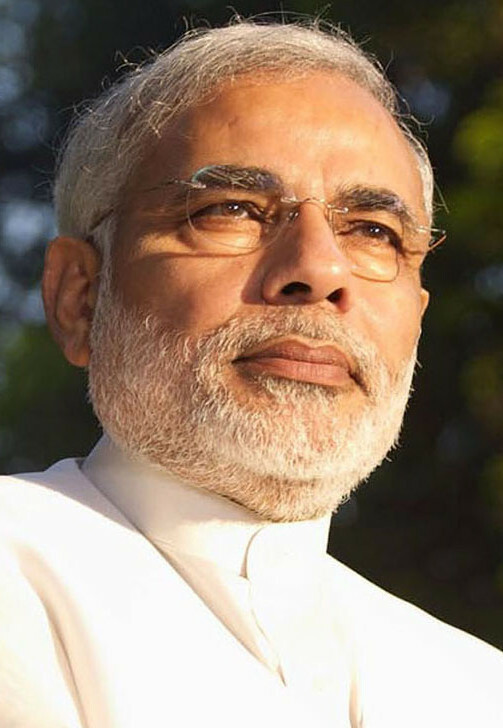 Recently in Patna: Not since Indira Gandhi has any non-Bihari come to dominate the state’s political discourse as the BJP’s prime ministerial pick from the far end of the country, Gujarat’s Narendra Modi. The central clue to Modi’s pre-eminence on the poll run is merely this: both Bihari protagonists, chief minister Nitish Kumar of the JDU, and predecessor Laloo Yadav of the RJD, have all but forsaken cognition of each other and narrowed focus on Modi as their chief adversary, the man to beat in this summer’s Lok Sabha election. Nitish brought his protracted quarrel with Modi to a head last June, severing his 17-year tryst with the BJP even at the cost of losing majority on the assembly floor and losing out on the support of key upper caste sections. “Modi is a socially divisive and economically non-inclusive politician, a threat to pluralist India,” Nitish has repeatedly remonstrated in advocacy of his decision. More recently, as battle-lines sharpened and stakes rose, he has also been driven, in unlikely fashion, to pit himself in the race for prime ministership.